Aliso Creek Dental is a Aliso Viejo based family dentist practice that treats patients of all ages. We are committed to delivering the highest quality dental care and do so using advanced dental equipment. We are a cosmetic dentist that offers services like checkups, teeth cleaning, crowns, veneers and more. We also perform emergency dentist services that include bonding, root canals, crowns, and bridges. As a local dentist, we create lifelong relationships with our patients and their families and work to ensure that they receive treatments in a comfortable and relaxed environment. Dr. Mona Saati, Dr. Tony Beizaee Dr. Jonathan L. Shapiro and our staff invite you to schedule an appointment by calling 949-204-3755 and experience why our patients think Aliso Creek Dental is the best dentist in Aliso Viejo. Dr. Tony Beizaee and Dr. Mona Saati are 1998 and 2001 graduates of the prestigious Tufts School of Dental Medicine in Boston, Massachusetts. Tufts Dental School is ranked as one of the top 5 dental schools in the country. The dentists have been married since 2001 and reside in Newport Coast with their two children. Dr. Tony Beizaee and Dr. Mona Saati have been working in private practice since graduation and have been committed to providing the highest quality care to all of their patients. The doctors’ passion for dentistry is coupled with their genuine concern for their patients, treating each patient as if they were part of their own family. Our doctors enjoy getting to know their patients so that they can provide the personalized care each patient deserves by addressing their specific needs and goals, by answering all their questions and concerns and by taking all the time necessary to inform and explain their care. Dr. Tony Beizaee and Dr. Mona Saati regularly attend continuing education and constantly update their clinical skills in cosmetic dentistry, implant dentistry and general dentistry, so they can offer their patients all the latest and modern dental techniques that dentistry has to offer, providing their patients optimal oral health. Dr. Tony Beizaee completed an implant residency in placement of Dental Implants. Dr. Mona Saati completed a residency in Cosmetic dentistry at Esthetic Professionals. Dr. Tony Beizaee and Dr. Mona Saati both have a gentle touch and are also very good with patients who have a dental phobia. Dr. Shapiro says, "I always strive to deliver a pleasant and informative dental experience, staying attuned to my patients individual needs and desires, while delivering the highest quality dentistry possible. I feel my work is a reflection of myself and, as such, will always provide my patients with a result we can both be proud of. I want to make people smile while improving their health." After graduating from Monmouth University, Dr. Shapiro received his Doctorate of Medical Dentistry from the Rutgers School of Dental Medicine. He has a deep passion for learning, and regularly attends continuing-education courses to keep abreast of cutting edge technologies. In his free time, Dr.Shapiro enjoys producing music, building and playing guitars and spirited drives on California’s many canyon roads. 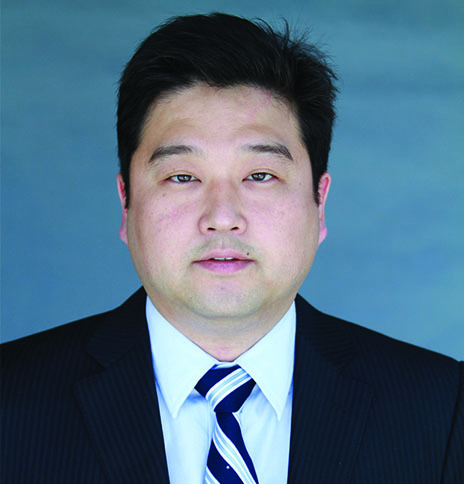 James Sunwoo, MD, DDS is a board-certified oral and maxillofacial surgeon dedicated to providing comprehensive care in the head and neck region. He is certified by the American Board of Oral and Maxillofacial Surgery. He is a fellow of the American Association of Oral and Maxillofacial Surgeons, and a fellow of the College of Oral and Maxillofacial Surgeons. His areas of expertise encompass traditional oral and maxillofacial surgery, orthognathic surgery and cosmetic surgery. He obtained his undergraduate education at the University of Chicago. He received dual degrees in medicine and dentistry, from the University of Southern California and Columbia University respectively. His postgraduate training, including an internship and residency, in general surgery and maxillofacial surgery, was completed at the University of Southern California. In addition, he is dual-fellowship trained in orthognathic surgery and general cosmetic surgery. His extensive training and background affords him the ability to offer the highest standard of care to his patients.